Sitting in The Tea Leaf after treatment, I had many opportunities to chat with the owner, sommelier, and tea aficionado, Catherine. 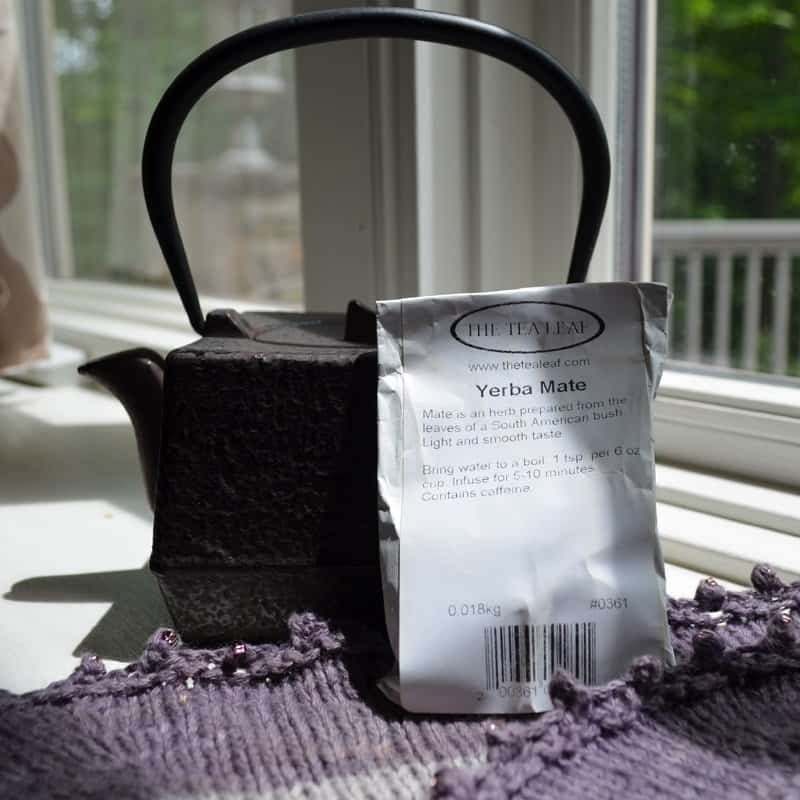 These conversations were the first remembrance I have on learning about “Fair Trade.” As I learned the different teas on offer, we talked about the families that grew the tea leaves. Over many conversations, it became clear to me that one of the important things for her in choosing teas for her shop were the people behind the plants. She shared a story about finding out what was needed and what was of value to the growers when bartering for their produce. Yes, she could just pay them and be done, but developing a relationship was important to her from both a personal and business perspective. As part of her interest in their lives, she discovered their need for a family cow. What was so special about the cow? It added to the quality of life for the family! Much like purchasing a house in the US requires a hefty down payment, a cow was a major life expense that many would never realize, but one that would have real lifestyle benefits if only it were possible to own. The upkeep of the cow was doable for them, but the initial layout to purchase the cow was unattainable. Like paying a mortgage is attainable for most, the initial down payment often separates the home ownership dream from the renting reality. So, in a mixture of economic systems, a cow became part of the sales deal. In doing so she made a lifechanging difference in the grower’s family as well as left an impact on one young girl sipping the final product. Jump forward nearly a decade – Fair Trade is now a regulated / certified industry, which ensures “that the people making Fair Trade Certified goods work in safe conditions, protect the environment, build sustainable livelihoods, and earn additional money to empower and uplift their communities.” You can read more about it here. Continuing in our eco elements year, our next topic is Fair Trade. Let’s bring it back to the knitting world! You can find Fair Trade certified yarns, like Capella selected for my Je Ne Sais Quoi MKAL shawl sample. 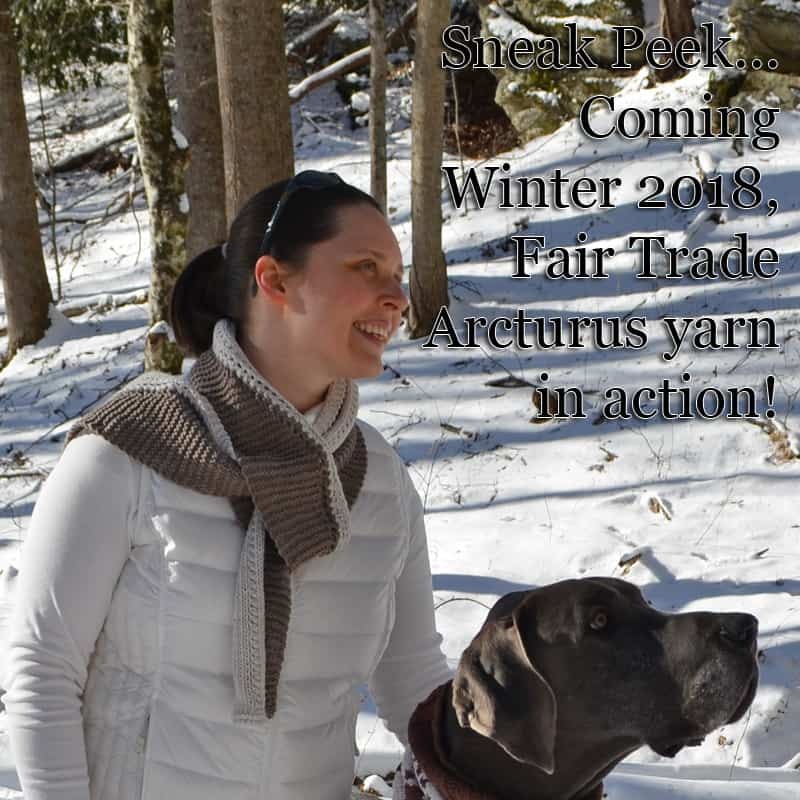 Heidi at Vegan Yarn specifically selected a Fair Trade certified organic cotton base for her shop (available now in Worsted weight, Arcturus)! 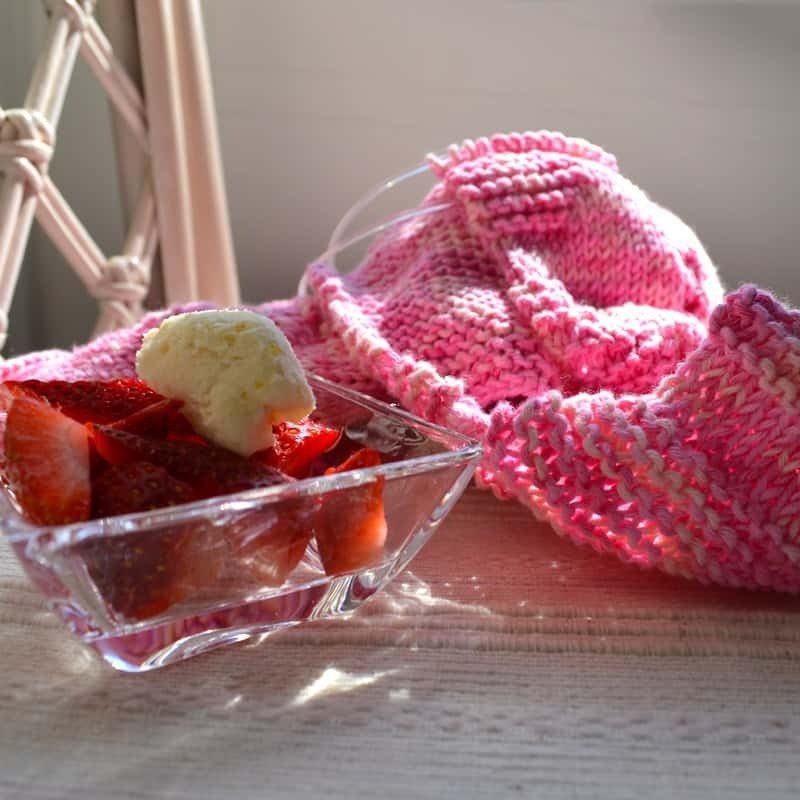 Shabby Chic as a WIP with organic fair trade strawberries and lemon curd cream… YUM! Another option is the Debbie Bliss brand of Fair Trade organic cotton, shown in Shabby Chic. Anytime you bring in a third-party certification process, the cost of producing the goods goes up. So much like my views on finding a humane wool, if you know the people involved in the raising, you don’t necessarily need that expensive stamp of approval. However, the onus is on you to verify that product stream is in keeping with the values you want to support and use your dollar to vote for. Relying on the certification of a non-profit saves you that research time, which may be worth it in the long run! What fair trade yarns do you have in your stash (or shopping list)?